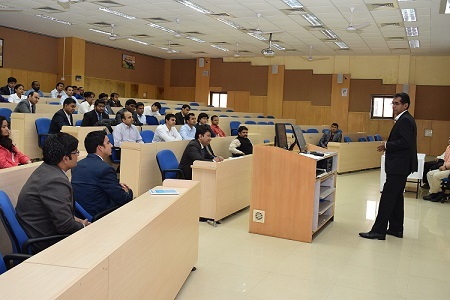 Under the Executive Post Graduate Programme (EPGP) iKON CxO Guest Lecture Series, a talk was conducted at IIM Indore on July 14, 2016. 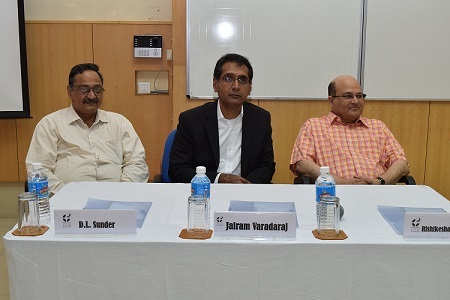 Dr. Jairam Varadaraj, Managing Director, ELGi Equipments Ltd. was the guest speaker, who spoke on the topic ‘Industry Expectations from Middle Level Managers’. 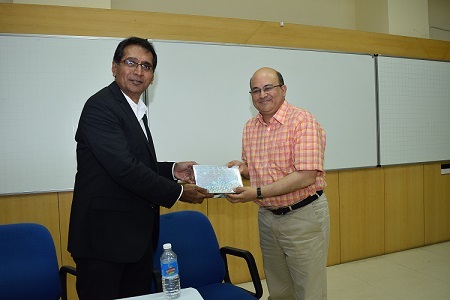 His talk revolved around how a company can attain a global brand and the challenges faced in attaining the same. Dr. Varadaraj began his talk discussing why a company should build itself into a global business. He said that the global market is exponentially huge as compared to the Indian market, which is just the 4% of international businesses. ‘We are updated with technology, but there is a difference between ‘knowing how’ and ‘knowing why’ – of a technology or a product. We buy various techniques from other companies, they tell us how to make a product, but they don’t tell us why to put those parts together, which make the product. One should always know the ‘why’. When you don’t know that, you become a technology slave’, he said. Discussing the major challenges Indian companies face in brand building, Dr. Varadaraj said that quality of a product is a major issue in India. When we buy, we would seek for perfection, but when we sell, we will try and convince the customer to buy the product even if it has a defect. We are best in the ‘hardware side’ but we lack in the ‘software side’ of any product. ‘We need to build a system which is our own, new and innovative. We need to build something which hasn’t been created previously and which isn’t a next step to something already existing. We need to build as a nation, by building a bridge over the gap between sellers and buyers’, Dr. Varadaraj mentioned. Talking about the IT sector and the jobs available, Dr. Varadaraj said that IT came as ‘Instant Nirvana’ in our country. You take a degree and you get a job in IT. ‘But to build a great company, instant nirvana isn’t the option. The company needs to connect with the customer’s, employee’s, supplier’s and the stakeholder’s experience with the product you sell. That’s how you create a brand, not instantly’, he said. He concluded his talk saying that the lack of aspiration to build a global brand is the major challenge faced by many companies. ‘Building a global brand isn’t an easy journey, but it comes along with effective leadership and independence’, Dr. Varadaraj concluded. The session was followed by a Q&A.